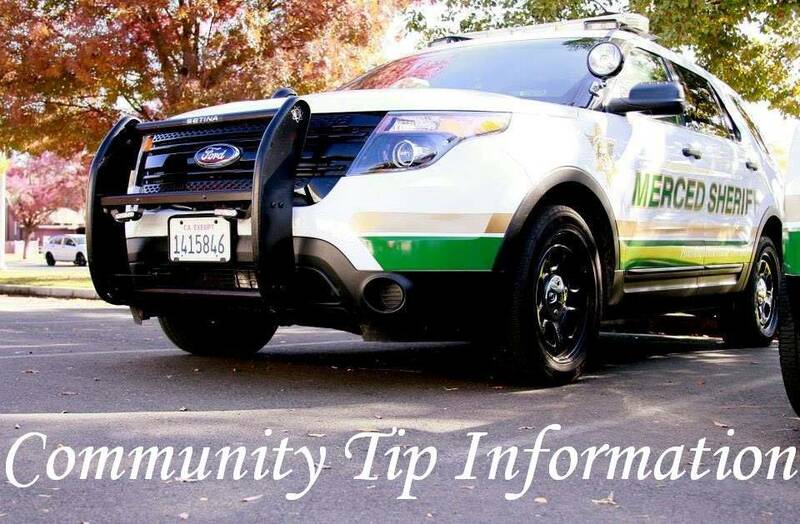 Merced County Sheriff's Office encourages community members of Merced County to submit any criminal tips or information to our "Community Tip Information Center". Any submissions to our Agency will be held confidential and all Reporting Persons will remain anonymous. All information plays a vital role in the apprehension of criminals, crime prevention, illegal and suspicious activity and may aid in bringing closure to active case invetigations.